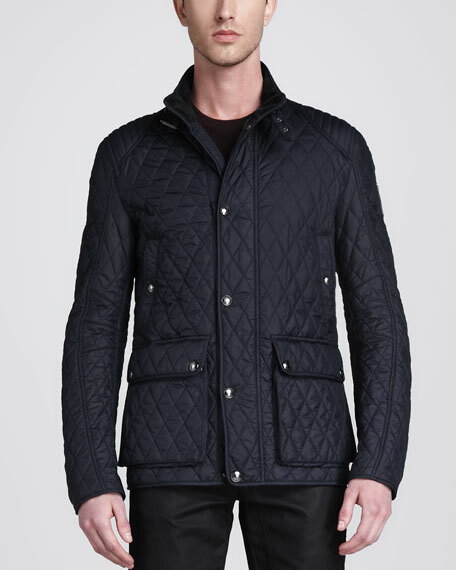 Quilted tech fabric with patch detail on shoulders. Stand collar with belt detail; Snap/zip front. Long sleeves with snap-button cuffs; logo patch on arm. Button-tabs at sides of back.